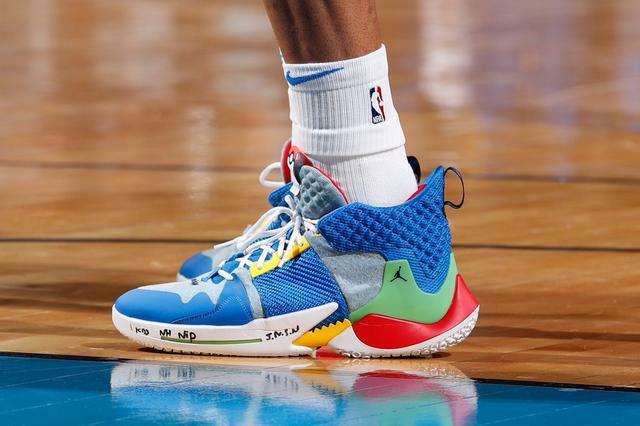 Oklahoma City Thunder All Star point guard Russell Westbrook laced up a plethora of player exclusive colorways of his Jordan Why Not Zer0.2 signature sneaker this year, many of which served as a portal to the '90s. 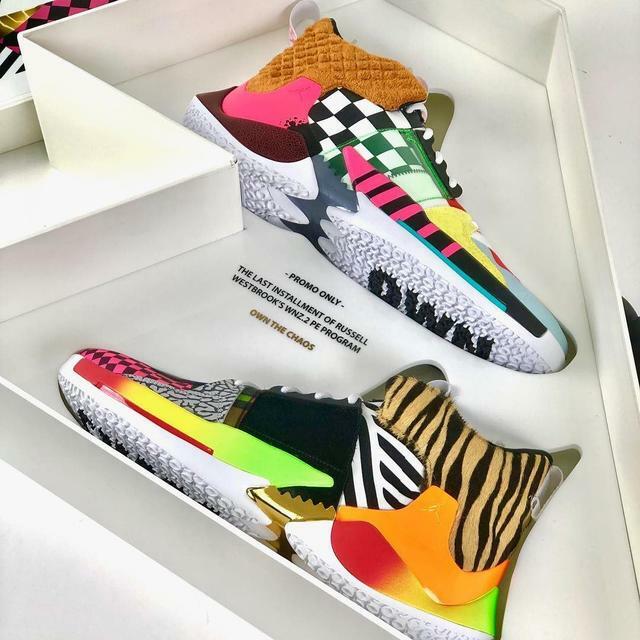 Video games, tv shows, athletes and toys all played a part in Westbrook's best PEs, as well as the special edition sneaker boxes that the kicks were housed in. 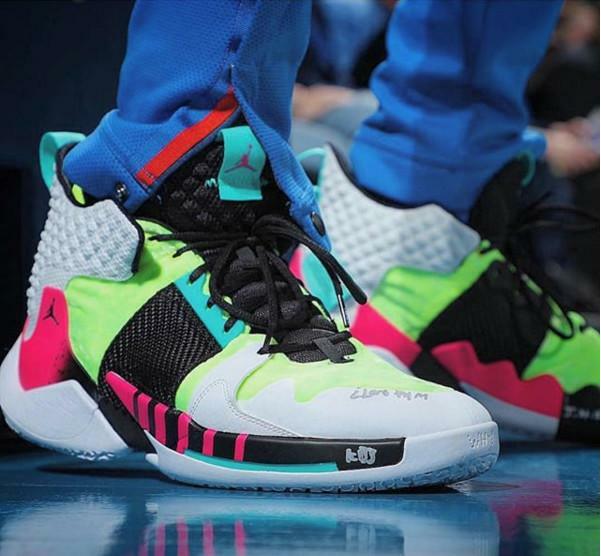 While we wait to see what kicks he breaks out for the pivotal Game 3, scroll through the list below as we look back on 10(+) of the craziest Why Not Zer0.2 PEs shared by Jordan Brand Promo PE designer, Kelsey Amy. 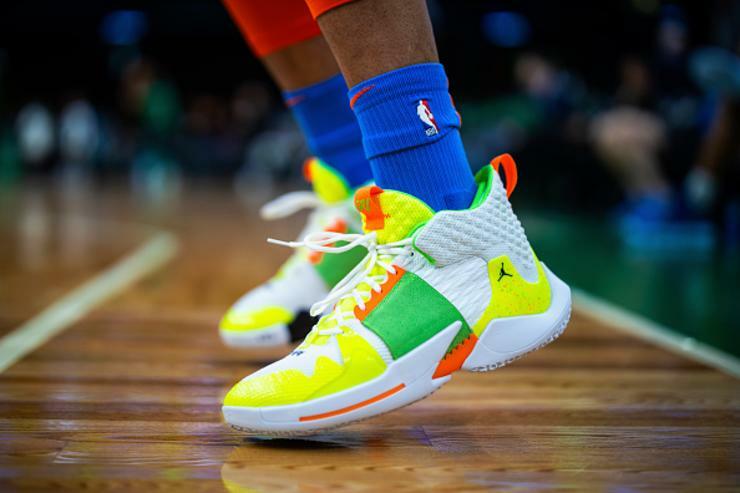 Russell Westbrook showed up to the TD Garden in Boston back in February toting a special edition "Super Soaker" colorway of the Jordan Why Not Zer0.2, which remains one of the best PEs of the NBA season. 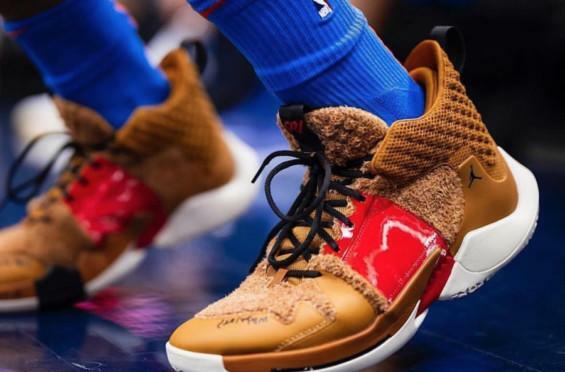 A fitting tribute for OKC's Valentine's Day game, Westbrook donned a teddy bear themed Why Not Zer0.2 PE as the Thunder took on the Pelicans in NOLA. The kicks came equipped with a fuzzy brown upper, accompanied by festive red detailing, a Valentine's card hang tag, and a box of chocolates on the insole. Tying the theme together, the exclusive V-Day PE also came housed in a heart shaped box. 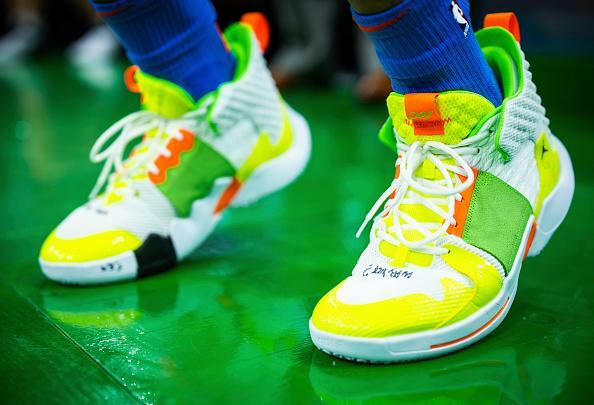 Russ had a few different Why Not Zer0.2 colorways done up as a nod to Nintendo's iconic Mario franchise, which included this Toad PE. Inspired by one of Princess Peach's most loyal attendants, the Toad PE features a white build with red polka dots and a blue and gold mid panel, styled just like Toad's vest. 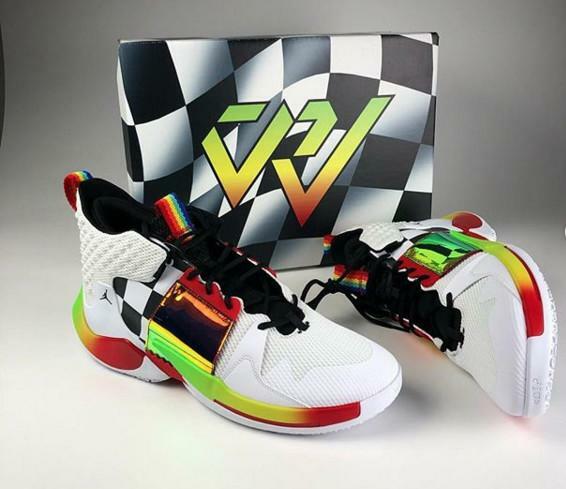 In continuation of the Mario themed sneakers, Westbrook was also hooked up with a Mario Kart inspired sneaker that came packaged in a racing flag inspired box. The special edition sneakers are also highlighted by colorful detailing as a nod to the classic Mario Kart track, Rainbow Road. 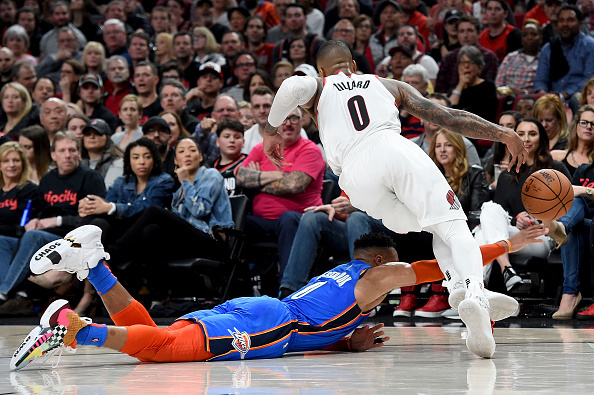 Westbrook laced up a trio of Pokemon-themed sneakers as the NBA's regular season came to a close, each of which featured a Pokemon ball tongue tag. The Jordan Why Not Zer0.2 Pokemon Pack consisted of Pikachu and Charizard inspired colorways, as well as a blue rendition in honor of Ash Ketchums. 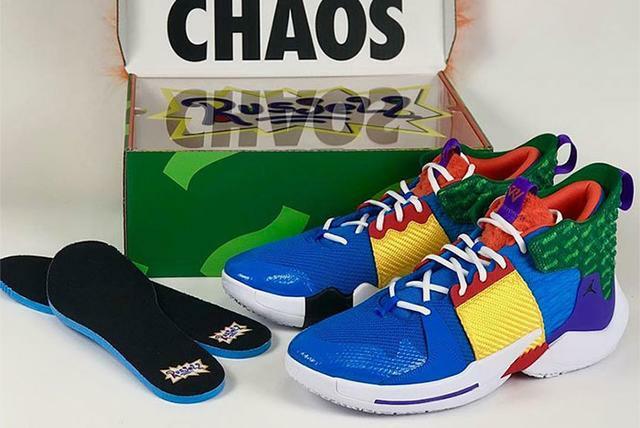 The common trend among Westbrook's long list of Why Not Zer0.2 PEs is that many of the special edition sneakers referenced the '90s. That theme came through strong on the "Rugrats" PE inspired by the beloved Nickelodeon cartoon. Specifically, the kicks are a tribute to Chucky Finster. If that wasn't evident from the color scheme on the actual shoe, the hairy, bright orange packaging should be a dead giveaway. 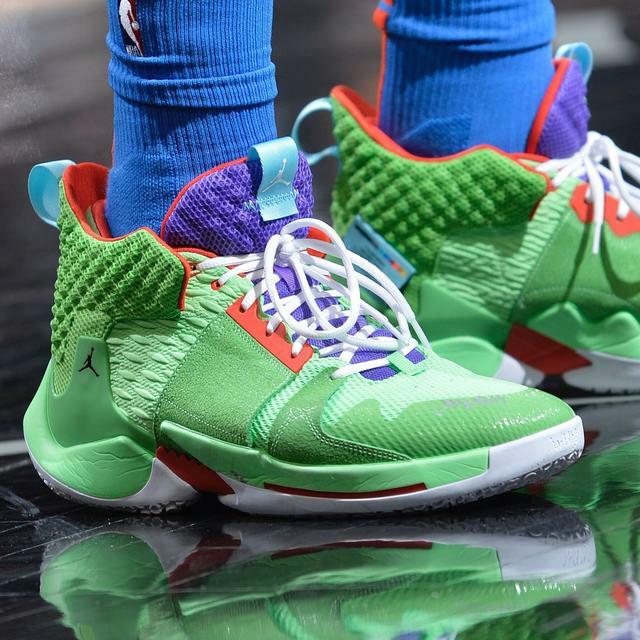 The follow-up to Westbrook's Chucky Finster PE was the "Reptar" rendition that Russ laced up against the San Antonio Spurs on March 2. Once again, the packaging steals the show. Andre Agassi's Nike Air Tech Challenge 2 has inspired a number of sneakers over the years, including this '90s-themed Why Not Zer0.2. The kicks are a combination of the classic "Hot Lava" colorway as well as the "Turbo Green" iteration. 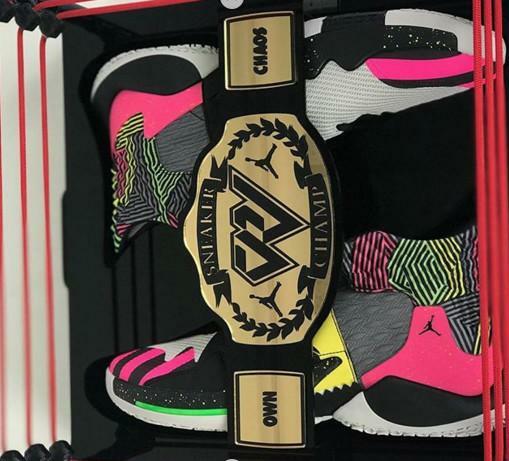 Russell Westbrook celebrated Wrestlemania weekend with two dope PEs inspired by a couple of his favorite WWE superstars. The Triple-Double Machine paid tribute to WWE's Big Red Machine on the night of Wrestlemania 35 with a hellacious PE styled just like Kane's in-ring attire. 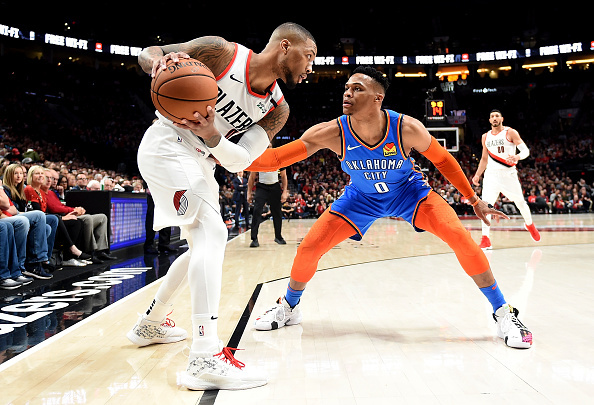 Likewise, Westbrook pulled out an Ultimate Warrior PE highlighted by shades of pink, green, yellow and orange as a nod to the WWE Hall of Famer. Both sneakers were stashed in wrestling ring inspired boxes, and strapped in with "Sneaker Champ" belts. 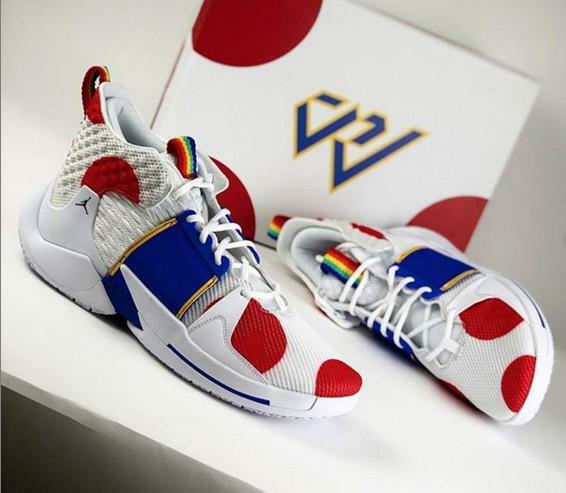 The culmination of Russell Westbrook's epic haul of player exclusive colorways is the "What The Westbrook" Jordan Why Not Zer0.2. The design is a mashup of all the aforementioned styles, as well as others that Jordan Brand created for the All Star point guard this year. 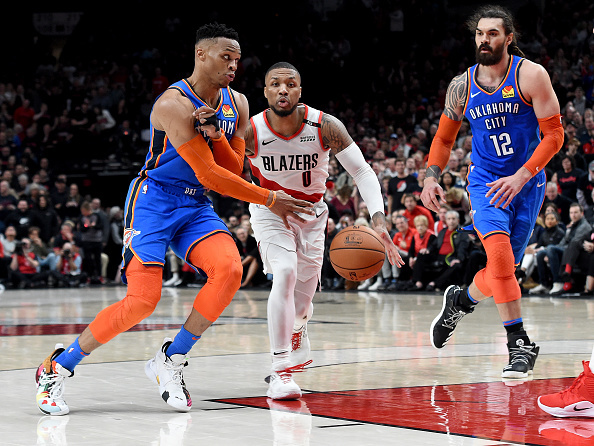 Westbrook debuted the sneakers on the court in Portland as the Thunder kicked off their first-round series with the Blazers. Check out some of the in-game shots and additional photos below.